This was not written by me. However it may relate to someone else out there. It was written after a very difficult day in my youngest daughters life. I remember the day in question, she had experienced a lot of judging looks and misguided advice in a shopping centre when our grandson had an anxiety melt down. We have all heard the screams whilst shopping and seen the tantrums and it’s easy to assume that the child is naughty or the parents are inadequate. For many families this is a part of life and until it hit my family I never understood what a challenge it is. The boy in the tale is my grandson. He is almost four now and has at last had some real help. A diagnosis is not especially good news, but for her she feels like all her struggle was not in vain. Once upon a time there was a boy. He was so beautiful that people would stop his family in the street, in the market place, out in the woods, wherever he may be. They wanted to know his name, how old he was. They wanted to tell his family that he was too beautiful to be a boy. They would marvel at how big his eyes were, how dazzling his smile, they would comment on his abilities and his achievements. They adored him. He had the face of a cherub, eyes that changed from blue to green or grey depending on the weather and his mood. He had supple, chubby, apple cheeks that were flushed with the lustre of his youth and curiosity and zeal for life. His golden ringlets hung just low enough to kiss his ears and frame his milky, baby soft skin. He glowed with love and life and gusto. This boy loved the people. Mostly he loved HIS people. The ones that he called his, the ones he felt safe with, sure of. The ones who knew him as well as he knew himself. But sometimes the boy wasn’t the cherub. Sometimes the boy turned dark and brooding. Sometimes the boy raged and stormed and couldn’t smile. Sometimes the boy was anxious and scared and he became unstable. Then the people didn’t love him. They didn’t stop and offer him sweets, they didn’t comment on how good he was, how beautiful. Instead they pursed their lips and shook their heads. They murmured amongst themselves and looked at him with distaste and distrust. They pushed his advances away and they turned their backs. They spoke harshly of his family and of his home. The boy didn’t understand and he couldn’t grasp the reason for the change. Why was it that when he was hurting and scared and anxious that he wasn’t beautiful? Was he bad? Was something broken in him? So the boy tried to be “good”. He decided that he would change who he was so that people would always love him. So they would always think he was beautiful and worthy. He watched and waited; he took note of the things that people seemed to like about him, the things that they found worthwhile. Then he would do those things but he did them with GUSTO. But this didn’t work. People got mad at his big hugs that became too hard, too long. People got tired of hearing him talk because he talked TOO MUCH. People pushed him away and yelled at him to leave their babies alone when he tried to cuddle or pick them up. The boy was lost. He was sad, confused and lonely. The boy loved so much, so deeply. He wanted life to be just so, he wanted his people to be around him and love him. The boy was crushed. He heard them talking when they thought he couldn’t hear or understand. He heard them whisper things like “bad” and “different” and “difficult”. He heard them compare him to the other children in their lives, he couldn’t grasp why they spoke of him positively but then ended their explanations of him with those ugly words, the words that made his cheeks burn with shame and confusion. The boy’s mother loved him so much, every time she looked at him her heart overflowed with the joy that she felt surely couldn’t be owed to one person. He was everything that she had ever wanted and more. So when people turned away from him, when they pursed their lips and shook their heads she stepped in to defend him. She explained about his anxiety and his fears. She told about his different personality and the hardships they introduced for him. She tried to show them that it was ok to love him all of the time. But the people wouldn’t listen. The people told her that he didn’t have any problems or excuses. They told her he was bad, that he was cruel and wrong. They told her that she wasn’t doing her job, that she should smack the boy, or smack him harder. They told her that she should punish the boy differently for his emotions and his actions. The mother knew this wasn’t true but she pretended to listen, she pretended to take it in. then when the people would leave she would take the boy into her lap, she would stroke his curly head and she would whisper to him “I love you now, I love you always and forever. You are a good boy, you are a smart boy, you are important and you are loved. More then anything, you are YOU.” The boy would hold her face in his hands, look into her eyes and say “I love you forever and always too mum”. But this isn’t a fairytale. This story is my life. That boy is my son. Its easier for me to write about this as if it is a made up story in some place “far far away” but the fact is that this is happening here, its happening now, and pretending its imaginary doesn’t make those angry looks, those condescending comments about my parenting sting any less. Jack struggles daily with life. There isn’t a label for how he is (although too many have tried to put one on him…or several.. anything that would seem to fit.) Jack is just Jack. That’s what those of us who know him best say. 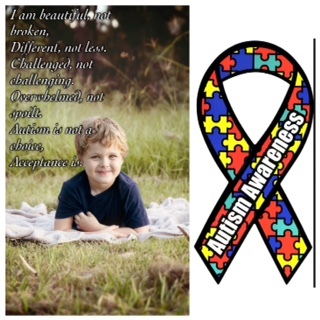 I don’t need a label to tell me that my son is different. But different isn’t always bad. I know all these things and more, I am blessed to be his ambassador, his champion, I will always plead his case, though I shouldn’t need to. I brought him into this world, after carrying him inside of me for those long months, and I will stand by him until something takes me out of it, although sometimes after seeing his pain, his anguish at not being heard or understood, or watching the crease appear in his forehead just above his nose when he hears someone say he’s bad, he’s different, he’s not like the others..something they don’t think he understands, I wish I could put him right back. Back where prying eyes wouldn’t judge him. Where he wouldn’t have to conform or worry, where he had never been hurt or heard those ugly words. Where there was no pain. But to do that would mean that I wouldn’t get to hold him, I wouldn’t get the chance to whisper to him “I love you now, I love you always and forever. You are a good boy, you are a smart boy, you are important and you are loved. More then anything, you are YOU.” And all the hardships in the world, all the times we will face together will be justified in that one moment.